Magic Anniversary Festival in July: The twelfth anniversary is actually this month, but with Modern Masters 2015, the Modern Festival and DTK Champs, June was full. Therefore, Wizards has scheduled the party for next month. The party will include Holiday Cube drafts, plus Mirrodin block Phantom drafts. Anyone playing in the Mirrodin Phantom drafts will get a promo Lightning Helix. 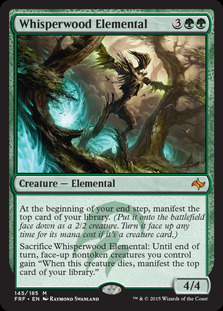 Modern Masters 2015 Extended: You can continue drafting Modern Masters until July 8th. Until then, eternal formats (Modern, Legacy and Vintage) will continue to pay out in MM15 packs. That’s an extension from the mid-June cut-off Wizards had previously announced. Queues Being Retired & Changes to Phantom Points: Wizards has announced that some less popular queues will be retired. The queues that rarely fired include Khans of Tarkir block constructed 2 man queues and all three of the older 6 pack Phantom Sealed queues. The change to Phantom Points is simpler: on June 22nd, all Phantom Points will be replaced by “Play Points.” Initially, each Phantom Point players have will be exchanged for 6 Play Points. The prizes and cost of Phantom queues will be converted to Play Points at the 6-1 ratio. In the future, though, the costs of prize payout may be tweaked: the new value for Play Points will allow for some fine tuning of costs and prizes. Read Lee Sharpe’s article on the changes here. In other news, Lee did mention on Twitter that although this month’s flashback events were Phantom, that was not a precedent. Wizards will continue experimenting with both Phantom and actual card flashback events. Magic Origins Articles Starting: Wizards has started posting origin stories for the Planeswalkers featured in the Magic Origins set coming out next month. Some cards have been spoiled already. Official previews should be starting shortly. Modern Festival: (repeat)Wizards is throwing a Modern Festival, culminating in a tournament with a massive grand prize. Beginning June 24th, Wizards will replace the Modern Dailies with Modern Festival Prelim events. These events will be five rounds each. They will pay out in Modern Masters packs plus qualifications for the finals to players with 5-0 or 4-1 records, and all participants will receive an alternative art Eternal Witness promo card (that’s card, not avatar.) The qualification is for the Modern Festival Finals on Sunday July 5th. The prizes for that event are amazing, with 33-64th place paying out 6 Modern Masters 2015 boosters, while the winner gets a complete set of every modern legal card, plus Premium Modern Masters and Modern Masters 2015 sets. Details here. This is a list of things we have been promised, or just want to see coming back. Another good source for dates and times is the MTGO calendar and the weekly blog, while the best source for known bugs is the Known Issues List. For quick reference, here are some major upcoming events. · MOCS Season 7: runs from May 27th through June 24th. · MOCS Season 7 Championship: 7am Pacific, July 4th. Format is Modern. · MOCS Season 8: runs from June 24th through July 29th. · MOCS Season 8 Championship: 7am Pacific, August 8th. Format is Magic Origins Sealed. · Leagues (Q2 2015?) Wizards said leagues will return in 2015. · Modern Masters 2015: EXTENDED! Continues through July 8th. Details here. · Modern Festival Prelims: June 24th – July 5th. Details here. · Magic Origins: released on MTGO July 27th, prerelease should begin July 23rdor July 24th Code: ORI Previews have started. · From the Vault: Angels: October 12, 2015. Details here. 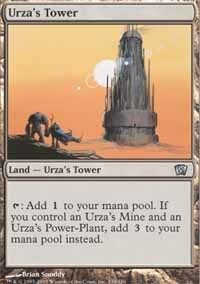 MTGO should have a way to use special lands during drafts. In the paper world, I have 20 of each basic lands, with my favorite art, presleeved in my draft box. We should be able to do something similar in MTGO. In V3, you could do some tricky manipulations to make that happen. In V4, you cannot, but you should. If I want to bling out my draft decks by using white bordered 7E basics, or foil Unhinged copies, I should be able to. It would be a reason to collect those lands, or a justification for having done so. I submitted this suggestion to magiconlinefeedback@wizards.com. If you have recommendations or advice, send them to that email address. Wizards does read them. Standard: Last weekend, SCG hosted an Invitational. The winning deck was Naya Dragons, which also appeared online and in the Standard Super Series. Odds are you will see it online. Modern: Right now, the best Modern deck might well be Jund, but unless you already have Lilianas, that is probably not an option. As of last week, the best option was probably RG Tron, which won the SCG Invitational. It might be facing a bit of a backlash right now, but it could well be good enough next week. Pauper: I have not had a chance to play Pauper for a while, so I am just grabbing 4-0 decks I have not featured before. Well, at least not featured for a long time. I remember playing Ledgewalkers and Armadillo Cloaks back before the Cloak was printed in anything but Invasion block and before Bogles. It has a history. Legacy: Taking another look at online Legacy this week. The featured deck has been seeing paly in Modern, and a version with Collected Company has been kicking around Legacy. This week, though, a more classic version of Elves went 4-0. It’s not gone. Vintage: Just a reminder – if you skimp on sideboard cards, this deck will beat you. Note: all my prices come from the fine folks at MTGOTraders.com. These are retail prices, and generally the price of the lowest priced, actively traded version. (Prices for some rare promo versions are not updated when not in stock, so I skip those.) You can get these cards at MTGOTraders.com web store, or from their bots: MTGOTradersBot(#) (they have bots 1-10), CardCaddy and CardWareHouse, or sell cards to MTGOTradersBuyBot(#) (they have buybots 1-4). I have bought cards from MTGOTraders for over a decade now, and have never been overcharged or disappointed. Standard staples: Standard prices fell again this week. Some of that is the move to Modern, and part of that is the fact that Standard is really diverse. No cards or archetypes are clearly better than the rest, so nothing is hideously expensive. Which is fine. Modern staples: Modern prices were all over the place this week. In general, Modern cards jumped in price as people started gearing up for Modern PTQs and the Modern Festival. The exceptions are cards that are in Modern Masters 2105. As those packs are opened, in drafts and elsewhere, the price of those cards is falling. Legacy / Vintage staples: This week, Legacy and Vintage staples moved around a bit, but not much. Only a few cards had changes of more than 1% or so. Set Redemption: You can redeem complete sets on MTGO. You need to purchase a redemption voucher from the store for $25. During the next downtime, Wizards removes a complete set from your account, and sends you the same set in paper. For those of you who redeem, here are the retail prices of one of everything set currently available in the store, excluding sets that are not currently draftable or not redeemable. The following is a list of all the non-promo, non-foil cards on MTGO that retail for more than $25 per card. These are the big ticket items in the world of MTGO. The list grew further, as more and more Modern staples that were not in MM2015 are climbing. The worst problem may be Liliana. I saw at least one pro tweeting that he could not find any, at any price. A very quick check found the same – all my usual sources are sold out. That’s not a good sign with Modern season fast approaching. The big number is the retail price of a playset (4 copies) of every card available on MTGO. Assuming you bought the least expensive version available, the cost of owning a playset of every card on MTGO you can own is $ 24,140. Holy Comebacks, Batman – that’s up $500 from where we were last week. I have been busy trying to get caught up after Vegas, but I did have time for a couple drafts. Surprisingly, when I did get online, the format closest to firing has been Khans/ RF or Theros block. Since I still have a bunch of Theros boosters, I have been drafting that. Not amazing, but kind of a nice flashback. I do want to get some MM15 in this weekend, though. HammyBot Still Running: HammyBot was set up to sell off Erik Friborg’s collection, with all proceeds going to his wife and son. So far, HammyBot has raised over $8,000, but there are a lot of cards left in the collection. Those cards are being sold at 10% below retail price. Erik died five years ago, so HammyBot does not include any standard legal cards, but it includes a ton of Masters Edition and Vintage cards, and some nice Modern bargains. From his article "[Phantom Point] strongly implies they are limited to Phantom Events. As we plan for the future, we want to grow the use of a single point type rather than have different point types for different events." I think this is an important part of this update ... They might finally be looking at alternative entry fees besides the usual tics and/or product. I think that is a good thing. Also, having some way to earn Play Points without necessarily spending $$$ would be nice, such as with Hearthstone or Pokemon TCG. I have actually been playing a nice amount of the online Pokemon TCG lately because I like their prize structure/payout and they also have "daily quests" of doing "X amount of damage with X card type" to get more points. I've always imagined what kind of cool things and rewards wotc could give with its own daily quest system. I mean yeah it's cool that you can pay for an arena run with gold in Hearthstone, but the important part is people are actually logging in and playing your game, even if the engagement is for a short time. A daily quest feature could get more people in and playing Magic. It's a little bit of a hassle, but you can do it. Might be the same trick from v3, but I didn't find it until v4. Once you are done deck building, before you submit, save your deck. Go to your collection screen, and find that saved deck under freeform decks. Change out the basic lands for those you prefer, and close the deck. Go back to your deckbuilding page, and load the saved deck, you should now see your chosen basics. Submit the deck, and you are good to go. You will see your chosen lands, and your opponent will also see them. Am I the only one who thinks Eidolon of the Great Revel being over 15 tickets is way too expensive? I know it's due to mono-red being extremely cheap otherwise, but it's still only a rare in a set still in print. It's a rare in a set that hasn't been drafted in a long time, and because of prizes I think that set was opened up less overall. In September there may be a slight dip in its price. Rotation being what it is. But be watchful because it is a staple in some modern/legacy decks. 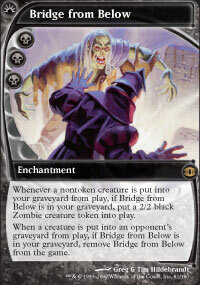 How about having Wizards use the Good Stuff list to decide what MOCS promos should be? That way we don't get more Birds of Paradise. I wonder how only phantom flashbacks draft with fair. I can see people playing a few for nostalgia but not as many without the the chance of getting to keep a highly sought after card. All draft understandingly have negative EV because WotC needs to make money. Opening that money card that lets you play your next one or few drafts free help offset some of that feeling of a money drain. I think this can be off set if players can earn some of these new play points in other ways. If the flashback phantom events become a slower bleed I can see them working. I think it is good that flashback events are not always phantom. I would hate to see the price of modern cards that are only in older sets without getting some more supply. WOTC has already said that not all flashback drafts will be phantom going forward, just some. Yes they did say this. That is why I said its good that flashback drafts are not always Phantom. I still have the free phantom points I was given. Unless I get super bored, or I'm able to use them for a tournament that pays out in packs, I won't be using them. For what it's worth, you've had numerous chances to turn those phantom points in to packs already, when the cube has been up in the past, one of the queues takes phantom points and pays out in packs for the current flashback draft. I personally don't cube unless it's with my friends in real life. Moar opinion section where you hammer wotc plx. When does Legacy season start? Big tournaments, whatever that will significantly move prices of Legacy staples. I don't think there is a Legacy season, at least nothing that noticeably impacts the prices of cards in that format. There's usually one MOCS season that is Legacy. I hope to see one Vintage one day as well. I'd love to see them do one MOCS season of Legacy and one of Vintage, giving out Rishadan Port and Misdirection as promos. Both cards are waaaay overpriced and both see relatively marginal play (and thus might actually be affected by a mocs promo printing). Giving out two promos of this value level would actually incentivize people to try for at least 15qp, which then might result in some small portion of those deciding to put together vintage or legacy decks to take a run at the title. It'd be a nice way to drum up a little interest in the format while simultaneously knocking down some overpriced cards. That's lame that the Mirrodin drafts are phantom only. I was looking forward to drafting all the $9 Serum Visions.